Posted on Thursday, November 14th, 2013 at 6:06 am. 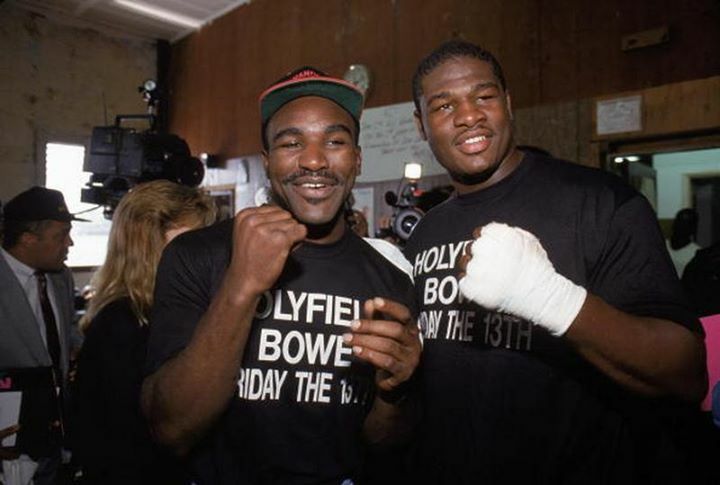 Boxing History: November 13, 1992 Riddick “Big Daddy” Bowe W 12 Evander “Real Deal” Holyfield, Las Vegas. Bowe wins World Heavyweight Title. First of three epic wars between these two. Riddick Lamont Bowe (born August 10, 1967) is an American boxer from Brooklyn, NY. He is a former two-time world heavyweight champion, having first won the WBA, WBC and IBF titles in 1992, thus becoming undisputed heavyweight champion. Bowe’s second reign as heavyweight champion was in 1995 when he won the WBO title. He retired in 1996 but made a return to the ring in 2004; he has currently been inactive since 2008. Bowe became the first fighter to defeat Evander Holyfield when he beat him in 1992 for the undisputed world heavyweight title. He later became the first fighter to knock Holyfield out, when he beat him in their rubber match in 1995. Bowe’s professional boxing record stands at 43–1–0 (1 no contest) with 33 stoppages. He has defeated every opponent he has fought except Buster Mathis, Jr., during which their bout ended as a no contest. 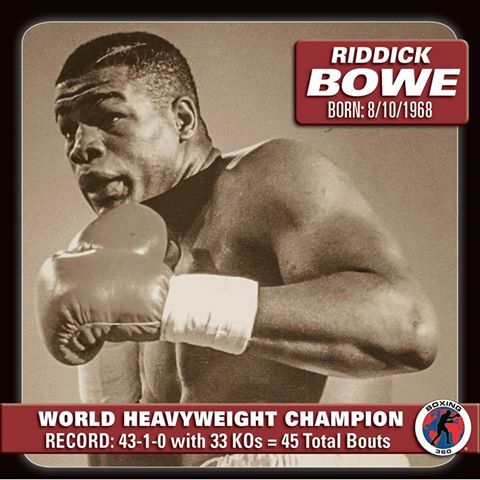 Bowe was ranked as the 21st greatest heavyweight of all time in a 2010 article by BoxingScene. 20 YEARS AGO TODAY, November 13, 1992, Riddick Bowe defeated Evander Holyfield by unanimous decision becoming Undisputed Heavyweight Champion of the World.